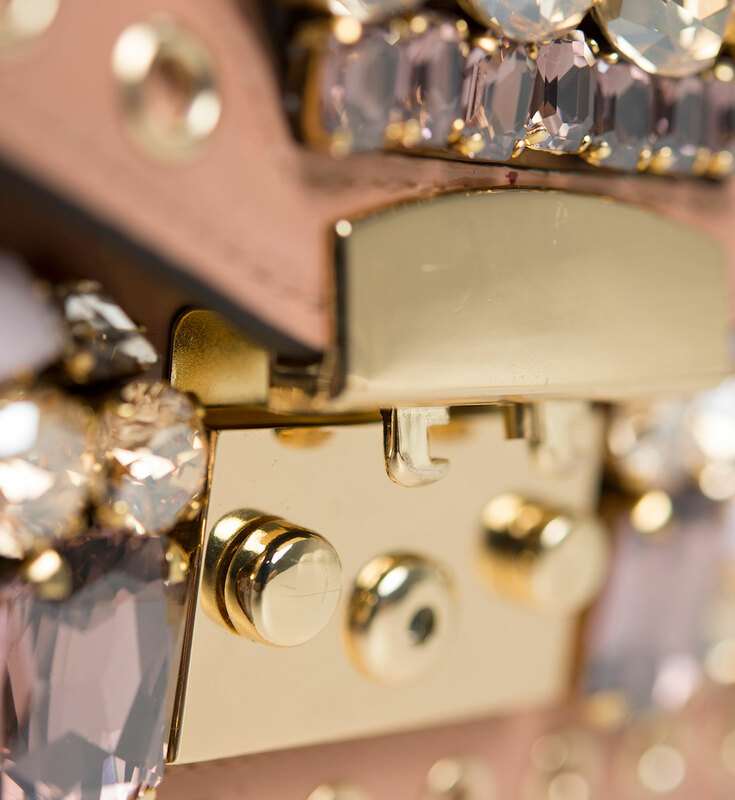 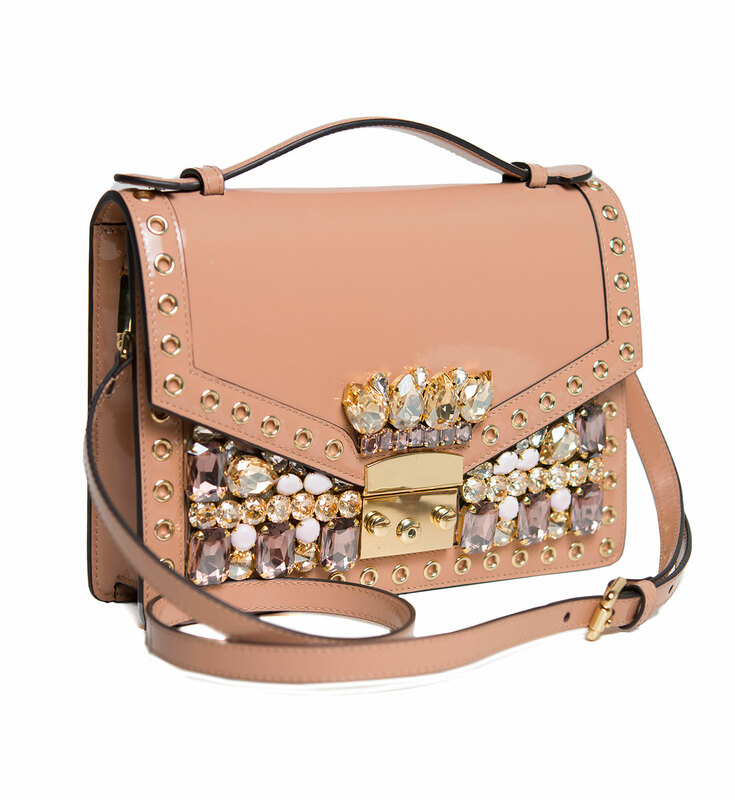 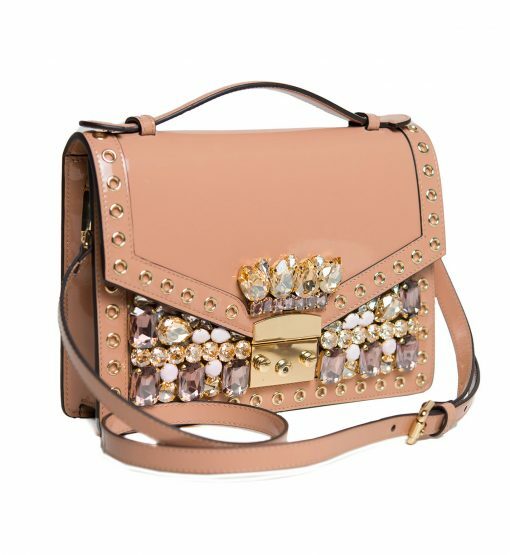 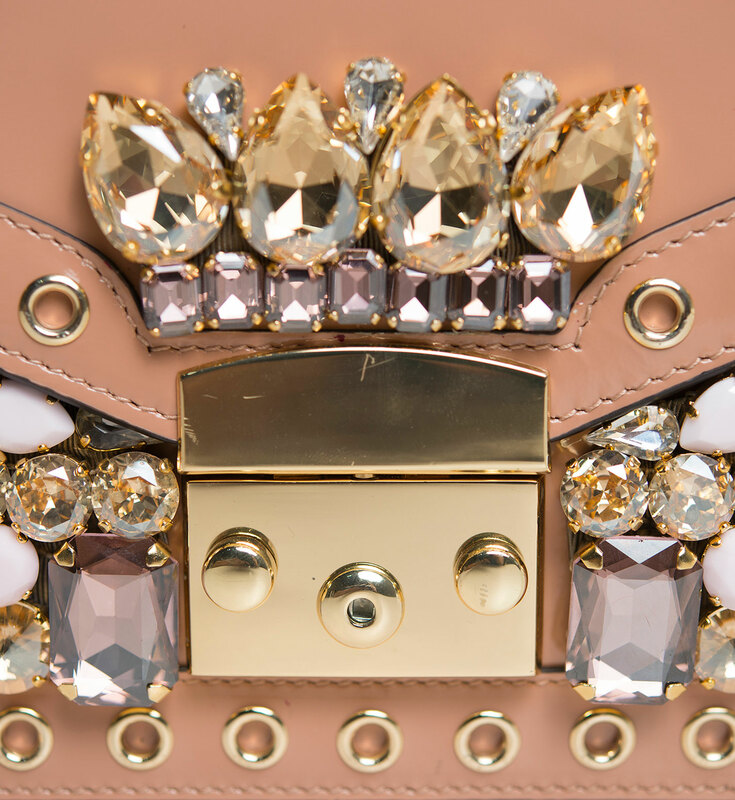 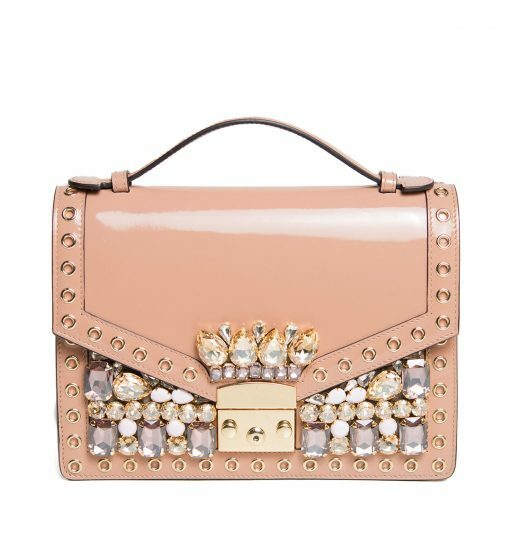 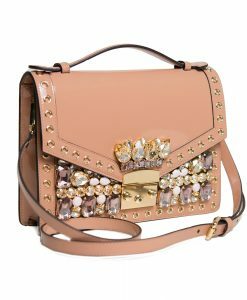 GEDEBE’s Italian-crafted ‘Chelsea’ bag is accented with sparkling neutral tone crystal stones. 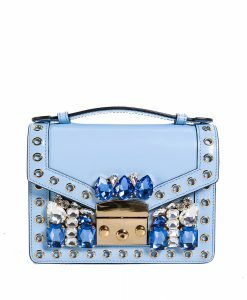 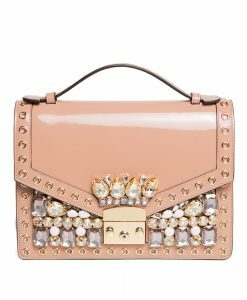 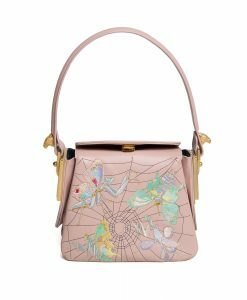 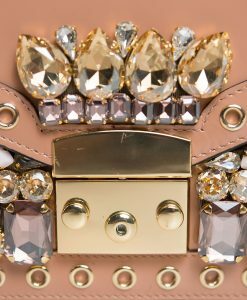 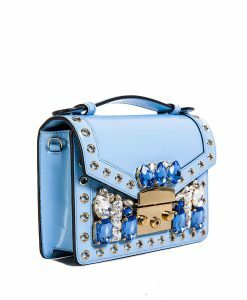 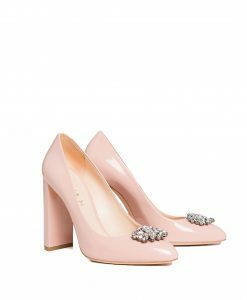 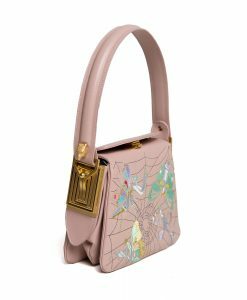 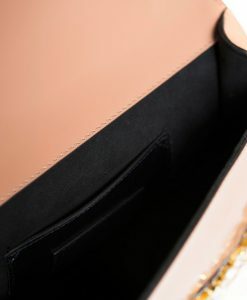 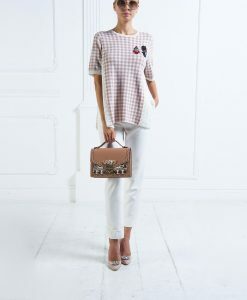 This versatile structured style is crafted from powder hue patent leather and is embellished with the brand’s iconic crystals and click clasp front closure which makes this bag looks a real jewel. 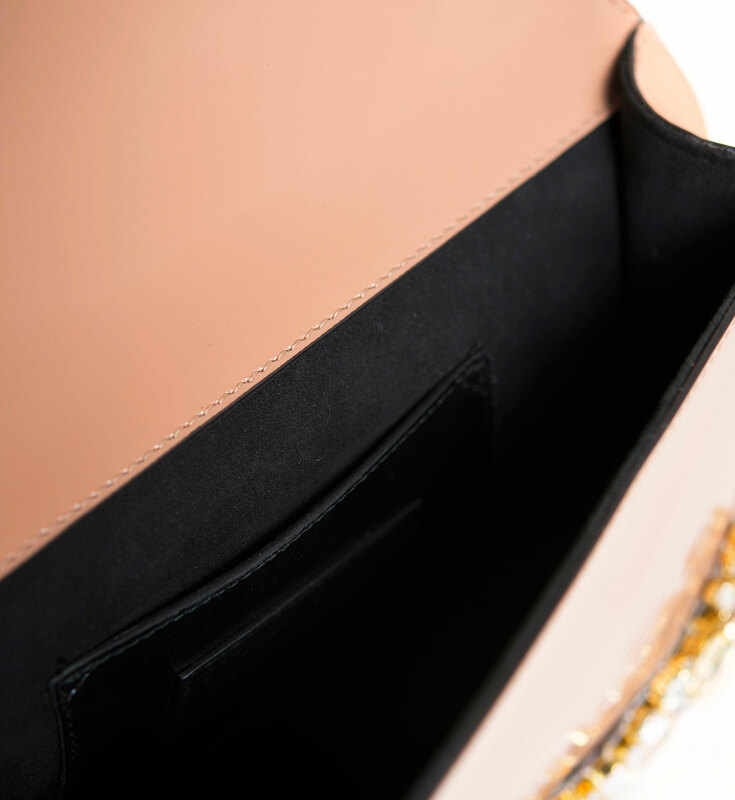 Perfectly sized to carry all your essentials, it has enough space to keeping your agenda, cell phone, wallet and keys. 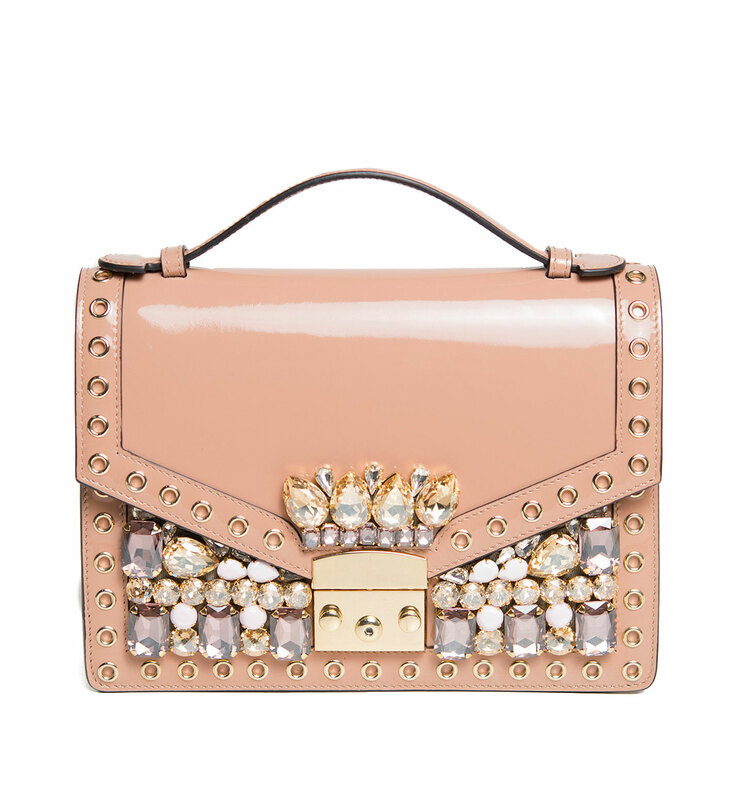 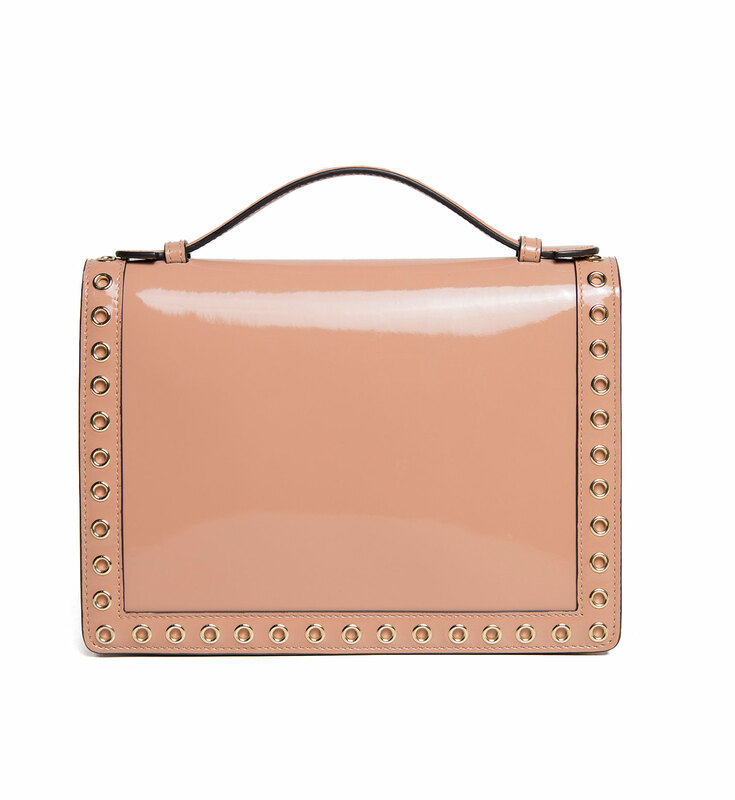 This pastel-pink patent style is finished with a top handle and owns a detachable shoulder strap to use on busy days.